Bombay Sapphire Lounge is officially open to the public with regular operating hours. Visit http://www.arshtcenter.org/bombaysapphirelounge/index.aspx for more info. Always known to bring the all-access experience to its members, the Adrienne Arsht Center’s Green Room Society (GRS) not only provides an exclusive look at the performing arts here at the Center but they’ve also been known to throw some of the hottest parties in Miami! This particular event was no exception. 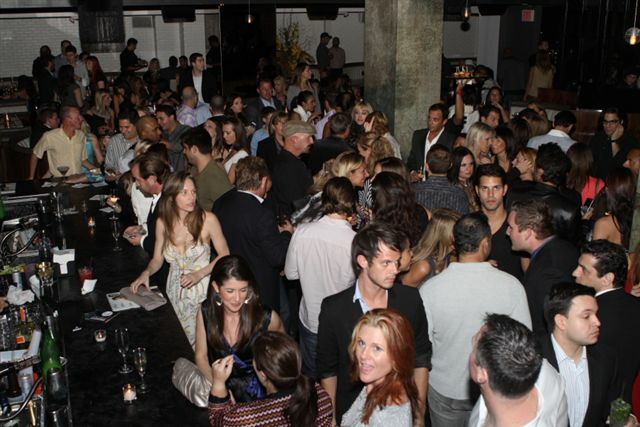 On January 19, 2010, GRS members got to experience the much anticipated new restaurant STK at the Gansevoort Hotel on South Beach. Over 400 of Miami’s VIPs dined on various menu selections of this non-traditional fusion steakhouse, including spicy Wagyu Beef Tartar and their famous Shrimp Rice Krispies. Guests drank champagne til the wee hours while local DJ maven, Danny Daze, kept the crowd moving all night long. Also on board that night was the event’s media sponsor, Ocean Drive magazine, which was celebrating its 17th Anniversary with GRS. The crowd at STK. Photo by David Muir. 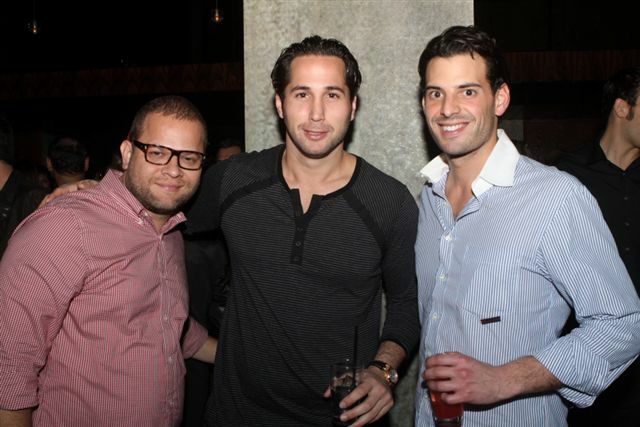 (L-R) GRS Committee Members Jimmy Vargas, Austin Cohen and Brian Ehrlich. Photo by David Muir. To find out more on GRS and how you can join, call 786.468.2040 or email greenroom@arshtcenter.org. The Green Room Society (GRS) of the Adrienne Arsht Center is living up to its name – literally. This past Saturday (June 27, 2009), Green Room Society members and their guests attended “Saving the Planet with Style,” an event that combined fashion, art, music and cuisine with one purpose in mind: to build a better world. The “green” event took place at the en vogue Stay at Lincoln Hotel on Miami Beach, the brainchild of GRS committee member Ernesto Arguello, and was attended by more than 100 GRS members. Organized by the Madave Fashion Group and hosted by GRS, the soiree benefited the International Rescue Committee (IRC) with the intention of using positive thought and human compassion together with art to make the world a better place. The three-day engagement began on Thursday with a focus on fashion. Trendy and environmentally friendly swimsuits, clothing, jewelry and handbag lines were all presented at the creative fair with enthusiastic response. The highlight, Saturday night’s exclusive Green Room Society event, featured a scene alive with the fascinating live silk-screen work of Rocky Grimes served up alongside 42 Below Vodka cocktails, Vitamin Water Tranquilo beverages and Grolsch Beer. Newly minted Green Room Society members walked away with their very own personalized “Go Green with the Green Room Society” recyclable tote bags, all printed live by Grimes. It was truly a magical event and Madave has confirmed that “Saving the Planet with Style” will be back again next year! Until then, the members of GRS are glad to be helping to save the planet – with impeccable style, of course. After hosting a memorable after-party for Alvin Ailey American Dance Theater last month, the Green Room Society, Adrienne Arsht Center’s young patrons group, followed up with a different approach to “the arts” – visual arts! On Thursday, May 7, GRS hosted the private opening of Hong Kong-based painter Simon Birch, who was making his US debut at the gallery, AE District. Check out our GRS photo gallery at AE District here.